1. 8 inch glow Bracelets are a great way to dress up your event, fair, or festival! 2. 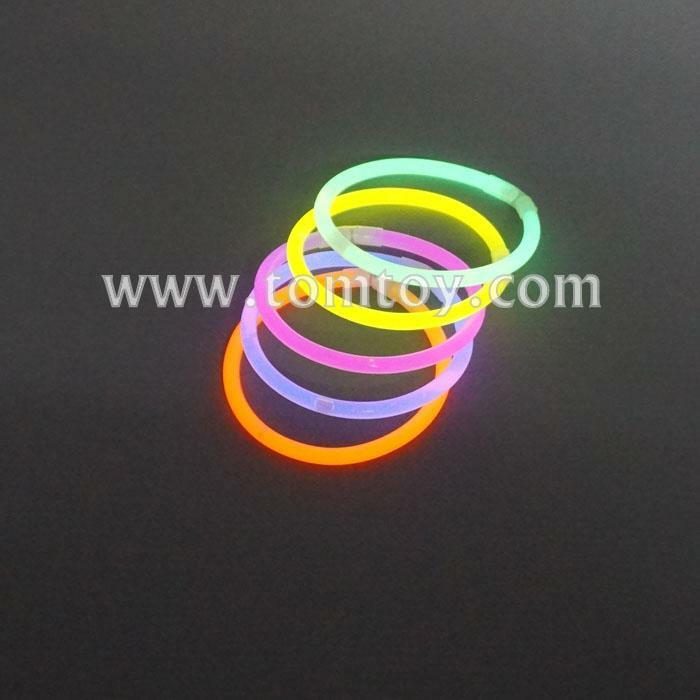 The bulk tube package contains 100pcs 8" neon single or assorted colors glow Bracelets and 100pcs connectors . 4. Perfect for Halloween, prom, glow in the dark events, outdoor parties and more. 5. Glow bracelets last approximately 6-12 hours.